The world's popular social media Facebook Like button in Facebook post is very popular But the 'down-votes' button for those who want to delete or hide objectionable or unsolicited Facebook comments. Facebook has already started limited testing in the United States. But they do not have to discontinue this 'dislike' button. Facebook users have been requesting to add a 'dislike' or dislike button for a long time. A small number of users in the US have been able to use the 'down-vote' button on a trial basis. Facebook authorities have confirmed their inspection of the 'down-vote' button to a site called 'Ket Crunch'. The down-votes button has its own distinctive features. The downward button is going to start in the comments section. Initially, it will work just like the Digalic Button. However, for those comments or posts, using the dislike button, they will be able to hide the post or comment. And who can do that post oCommented, he said.The 'option' to inform that the comment is indecent or irrelevant. 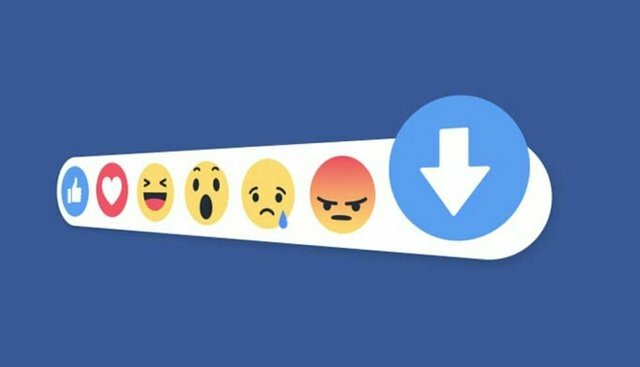 Facebook has said, the reaction button will be launched. The down button will be associated with this button. In particular, Facebook Messenger has a thumbs up or like button. This button is running the thapas down or the dyslike button to test the launch of Facebook. On Thursday, Facebook's experiments came openly. However, it was withdrawn some time later. But Facebook clearly did not tell when this button was going to open. Their comment, it is still at the test-level stage. This post has received a 0.12 % upvote from @drotto thanks to: @banjo. Congratulations! This post has been upvoted from the communal account, @minnowsupport, by Paula Gonta R Sentu from the Minnow Support Project. It's a witness project run by aggroed, ausbitbank, teamsteem, theprophet0, someguy123, neoxian, followbtcnews, and netuoso. The goal is to help Steemit grow by supporting Minnows. Please find us at the Peace, Abundance, and Liberty Network (PALnet) Discord Channel. It's a completely public and open space to all members of the Steemit community who voluntarily choose to be there. This post has received a 3.41% upvote from thanks to: @pagla.